As you may know, the AFOL scene got in the past years, several generalist magazines about this great hobby. Among them we have Bricks magazine which have now reached issue 15, available in digital and print form. Bricks 15 edition dedicates several articles to the Technic theme, models and their own LEGO Fan Media days interview. As well it takes a look on inventive ways to use LEGO Technic elements in inventive and decorative ways. Hence it is worth a note here, and we are glad to share the respective press release, which probably arises your interest. The Age of Technic is here! A discipline that often plays second fiddle, considered by most a ‘love it or hate it’ theme, yet lets not underestimate the key role it has played in the development of LEGO models and their functionality. Technic is in almost every official set we see, from Nexo Knights and Ninjago to Star Wars and Super Heroes. Technic is not purely a range on its own; it’s the go-to-guy that provides engineering solutions, structurally sound frameworks and increasingly complex playable functions. Without the Technic system, most moving elements would not be possible. This year the theme has firmly stood up to be counted with an onslaught of huge scale sets that have taken LEGO engineering to the next level; a voice that we could not ignore and so this month, we hail the wonderful world of Technic and its applications. A great example of boundary-pushing design came in June with the release of 42056 Porsche 911 GT3 RS: a set like no other, hand-packaged in a black satin box adorned with luxurious artwork and a 500-plus page instructions booklet that’s more like a car manual. Racing past the Porsche, our Technic expert Ryan Welles moves his keen eye onto another licensed set, the new 42053 Volvo EW160E. Steven Jarratt gets all agricultural with 42054 Claas Xerion 5000 tractor before Ryan reappears to examine the role of Technic within System sets, and James Pegrum takes a different approach by showing you techniques for using Technic parts for their decorative rather than their functional qualities. This issue, we also take a look at one of the new aftermarket LEGO-compatible controllers, BuWizz, before Tim Johnson takes a visit to Verona to see how shows are done ‘Italian-style’, while Li Li introduces us to the world of making LEGO circles in part two of his MOC Recipes series. This month also see the start of our new LEGO User Group section, where we showcase models of the month from Swebrick and Communidade 0937. As ever, there’s also reviews, masterclass builds, Bright Bricks and much more. Enjoy the issue and keep building. With 124 pages packed full of inspirational models and exclusive features Bricks is the premier LEGO fan magazine. With a price of just £4.99, why accept anything less? Order your copy today and enjoy the reading! It has been time for Vengit to polish the rough edges from SBrick, specially on the Android app front, and add functionality to the overall solution (Firmware, App, Profile Designer). While SBrick get matured and causes good impression/interest in the community, others have been demonstrating intent to develop their own SBrick like alternative prototypes via own Kickstarter campaigns, like BlueSmartControl and BuWizz or even quite different alternatives as RCBricks, with more or less success. So far only one of this terminated a KS campaign but without reaching its stretch goals. Meanwhile SBrick continues to evolve with new features and options. You can order them in packs of four of the same color or one of each color, for a small bargain at SBrick Store. Scratch was added to SBrick ecosystem and allows to deploy pre-programed actions to any SBrick powered LEGO model. Scratch is a free-to-use education platform available for an increasing number of robotics solutions, which uses drag and drop method to teach kids the possibilities of programming and robotics. This opens a new world of possibilities for SBrick in Education programs, something that creators of SBrick envisioned when they first imagined it. Scratch is developed and maintained by the Scratch Team at the Lifelong Kindergarten group at MIT Media Lab. Read more at SBrick Wiki and learn how to connect and program SBrick from your computer here, provided that you have an adequate BLE dongle. I've done it myself and can assure you it is really easy. Building-up on the possibilities offered by the recent SBrick compatibility with Scratch, Vengit is expanding their target market by creating their first "SBrick - Education Pack". This pack has been designed around SBrick, a powerful remote control platform for LEGO, to teach programming to children aged as young as 7. Immersive lessons combine physical dexterity, mechanical thinking, programming fundamentals and robotics for a learning experience children love. Each pack contains 20+ hours of lessons divided into short 40 minute activities, as well as the instructions needed to build 12 unique models. The pack also includes a teaching guide for educators. Expected to be available by end of August, this pack is already available for pre-order from official SBrick Store. And still more to come... Stay tuned! You might remember two years ago (Aug.2014) when the 42030 Remote-Controlled VOLVO L350F Wheel Loader was released, there were some wondering and discussions about the B-model Articulated Hauler for several reasons . Main one was probably the fact the B-model was presented in a two axles version (4 wheels as there weren't more included with the main model). No one was able to find any online reference that proved the physical existence of a 4-wheeled A25F Articulated Hauler, unlike its predecessors A25D and A25E which were also made available in 4x4 variants. A25F seemed to be available only in the 6-wheeled version at the time and digging into VOLVO CE catalogs I got the impression that 4x4 versions could eventually be possible to order as customized models. The LEGO Technic team was also aware of the fan community discussions about this topic, and promoted the production of the video below asked us to share it with you. If you look carefully you can finally see the physical version of the 4-wheeled A25F Articulated Hauler. So it seems now that licenses are getting more and more importance to the LEGO Technic line, the relations between TLG and VOLVO CE are kept live an strong. The release of the new 42053 VOLVO EW 160E Excavator is just another evidence of that and so I believe we will continue to see licensed VOLVO models at the LEGO Technic assortment in the years to come. Other Articulated Hauler comments were related to the unrealistic longitudinal engine position and the "cage look" of the tipper because of it not being closed and having too many "holes", rendering it almost useless. But of course there was not enough panels in the main model to build it differently. Thanks for the heads up to the LEGO Technic team, who demonstrates to listen to their fans! Last 2nd and 3rd of June the LEGO Fan Media Days took place in Billund, where some guided visits to cult spots took place, like the LEGO Memory Lane (aka Vault) in the basement of the LEGO Idea House, and the Kornmarken LEGO Molding Factory. They were great LEGO experiences, but probably the most fantastic and valuable moments were the interviews done with some LEGO Teams (Technic, Bionicle, LEGO Ideas, LEGO House, LEGO Rebrick, LEGO Worlds and LEGO Knights) that took place in the second day at Innovation House. TBs did interviews with most of them, and we will publish here the resulting video interviews as they get released. As it couldn't be otherwise we're starting with the interview to the LEGO Technic Team, where we spoke to Andrew Woodman (Andy), Senior Design Manager LEGO Technic and fellow AFOL Milan Reindl, Designer LEGO Technic well known in the community. I and Paul (Sariel) agreed to join efforts and each to produce videos with the interview footage of booth. Unfortunately the hamsters were not present to help. You can watch and listen to what we managed to get, and even have a sneak peak on the upcoming 2H16 LEGO Technic models. And no, there were no saucy questions about the successful 42056 Porsche 911 GT3 RS caught on camera. As you might have noticed LEGO Technic team as launched a new contest, using Rebrick as a platform to collect the participants entries. As a side note, Rebrick moved from its initial mission where users could bookmark LEGO creations shared in other websites, into a LEGO contests platform. As I was never a big fan of the Rebrick bookmark philosophy, I can only applaud this strategic move. It is also the first time LEGO Technic uses Rebrick as the platform for a contest, which makes full sense. If you remember the 9398 4x4 Crawler contest was run directly at LEGO Technic website, and so the loose ends finally ties up. Now you can go in the legendary footsteps of Ferry Porsche and build the Porsche of your dreams using LEGO bricks. 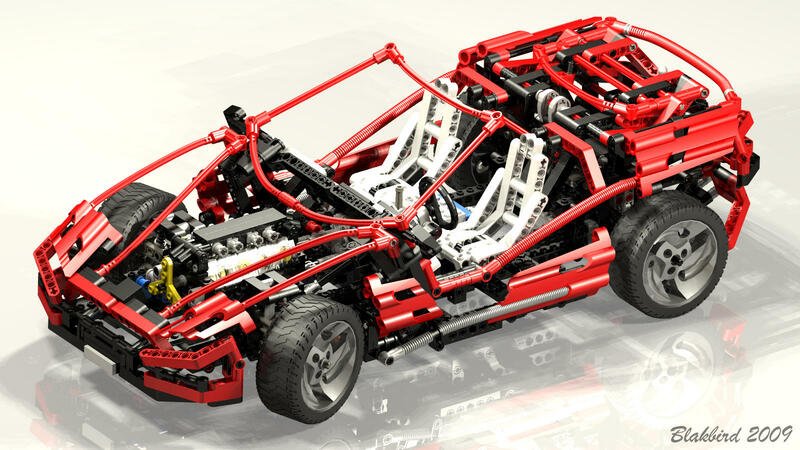 We are giving you complete creative freedom to build within the Porsche brand design and LEGO Technic look and feel. Whether you prefer to build a sports car, a race car, a historical Porsche tractor, or another Porsche model we invite you to build the Porsche of your dreams with no limitation to a specific era or model type. The contest is open for submissions until 2016.08.01 at 10:00 PM CEST, and you may submit your creation at Rebrick contest page. The 'How to Enter', contest rules and prizes can also be found at the same page.You can submit any physical or LDD model, but remember it must have a LEGO Technic look and feel, you can only use LEGO elements plus stickers, and your model must resemble a Porsche vehicle regardless whether you prefer to build a sports car, a race car, a historical Porsche tractor, or any other Porsche model. The judgement will be done in two stages, where first a panel of 3 expert LEGO Technic guest judges will select 20 semi-finalists, and later a panel of judges from LEGO Technic and Porsche will select one grand prize winner and nine runner-ups from the 20 semi-finalists. Take your chance! The prizes are worth it! We are just getting ready for Fan Media Day and interview the LEGO Technic team in Billund in a few hours, among other LEGO teams. Unfortunately this means the full Porsche 911 GT3 RS written review won't be ready until I return home. Meanwhile the video review version of it has just been uploaded, and here you have it to see. I was thrilled when I found out that TechnicBRICKs was invited to attend the FAN MEDIA DAY event happening next 3rd of June, at the LEGO headquarters in Billund, Denmark. Can you imagine?... We will have the great pleasure to get together and interview the LEGO Technic team, and by the way also a few other LEGO teams and franchises. Help us - What would you ask if it was you going there? Post your questions and we'll take some with us. But please understand certain questions may collide with TLG trade secrets and also LEGO does not comment on future products and releases. This means it is not worth to ask such questions like, will you ever do this set, release that new element, when will the first LPF 2.0 elements start to appear in Technic sets, etc. Let your imagination run wild and ask about anything else Technic. We still have no idea how to make it fit, but this could be also an opportunity to ask the designers about some technicalities that we never completely understood, like certain friction pins that sometimes are used where apparently their frictionless counterparts should have been used instead. We remember this happening for instance with the outriggers in 42009 Mobile Crane MK II and the shaft that turn changeover catches in 8043 Motorized Excavator. Both in parts of flagship hence large sets where friction penalizes performance and easily the batteries struggle to make the respective functions work flawlessly [1, 2]. Do you recall any similar situations which made you wonder . If you fill likely you may also raise some other general questions. There will be opportunity to interview a few other teams and franchises (e.g LEGO Worlds, LEGO Ideas, Rebrick, etc.) and depending on the questions raised we will book a slot to interview them as well. Thanks for your contribution. It is much appreciated! Today we made a return to tell you Technicopedia recently got yet another update. This time Eric Albrecht (Blakbird) added his usual detailed descriptions and images for all the LEGO Technic models released in the year of 1999. But since not everything needed to be bad news, this was also the year that brought a major change for the Technic theme. A new supercar was born - 8448 Super Street Sensation aka Super Car Mk II. By this time the innovative Technic beams had already been introduced, but a new world of curved panels and flex cables just emerged. Out of curiosity this set resulted from styling exercise. LEGO sponsored a design project at Coventry University and used those ideas in creating the model. They used rounded beams and new fairing panels to suggest body panels and the new flexible cross axles and corrugated tubes to create a curves that were simply not possible with older construction techniques. The result was by far the most realistic looking of the auto chassis released to date. 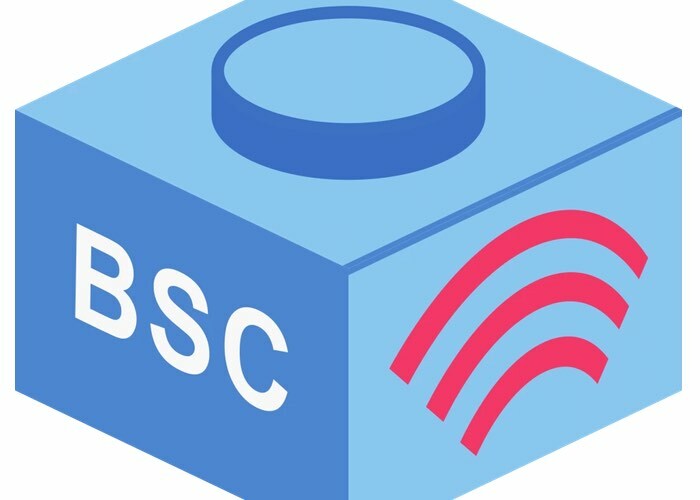 A little over a yer ago TBs posted a first article about BlueSmartControl or BSC as the developers abbreviate it. Back then the product was still in very early development and while it showed some promise, it wasn't commercially available. Since then a lot has happened. Now I can hear you thinking: why would I need another BlueTooth controller for my Technic creations when there's already something like the SBrick. It's a fair question and one that merits a well thought answer, so let's take it in steps. 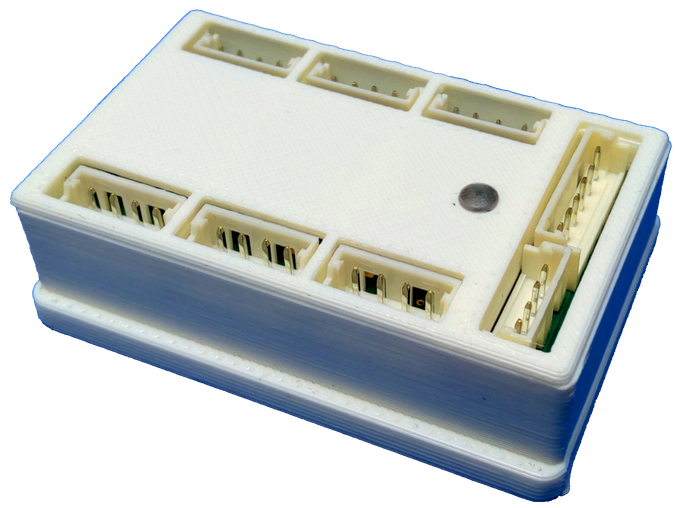 SBrick is a BLE controlled device with one input (battery power) and 4 outputs (motors/lights) in a slick and very LEGO-like casing, with a 4x4 footprint and includes a few pinholes for easy integration into a model. So far the SBrick looks to be the mor professional solution, or does it? If we think in terms of technology there are a few significant differences that can already be easily observed. A first difference is in the BlueTooth technology used. While BLE is a very promising new technology there are still large number of devices that don't support it. BLE requires Android version 4.4 and above. BSC on the other hand works with BT 2.1 and above meaning any Android 4.0 device (and above) is compatible. Another difference lies in the number of motor connection points - 4 for SBrick and 6 for BSC. In addition, BSC comes with a specific port for connecting sensors. Are you starting to see the differences? Then let's look at what BSC can do. The BSC Control Center is the app that is used to control the BSC unit (or units - up to 7 units can be controlled at the same time, meaning you can use 42 outputs in a single scenario!). This app is the heart of the power of BSC and is what sets it aside. While the SBrick app allows you to create beautiful scenarios and controls, in essence those controls are only digital renderings of the physical controls LEGO provides with the standard Technic remote ("bang bang" control, that is on/off) and the Train remote (specific power level settings). While this can obviously also be done in the BSC Control Center, this app takes control to the next level by introducing programmable sequences. Probably the easiest way to explain the implications of this system is by going back to Sariels Automated Trafficators System, a mechanical solution to make the indicator lights on motorised vehicles blink while it steered in the corresponding direction. His solution involved an M-motor and 3 polarity switches. The BSC Control Center allows you to do the same thing with a single control (button/slider/...). How? By setting up a sequence in the app by which each time you move the slider you have assigned to the steering mechanism is moved to the right not only the motor assigned to steering is turned on, but the lights on the side of the vehicle you steer towards start blinking. This means that with a single control you can set in motion several simultaneous or sequential actions. It was yesterday we've seen a new official LEGO Technic teaser at LEGO Tecnhic Facebbok page (Promobricks copy at YT below) with a statement - "Coming in 911 hours". Well... it has happened since then but this is truly awesome! One of the latest models in the legendary 911 family, the Porsche 911 GT3 RS, is appearing as a detailed LEGO Technic model. The exclusive LEGO set of the exceptional sports car, which has been developed in close conjunction with Porsche AG, will initially be available at shop.LEGO.com from June 1st, 2016, as well as in the 13 LEGO stores throughout Germany and Austria. It will be available in other stores from August 1st, 2016. Munich, April 25, 2016. Like every sports car with the Porsche emblem on the hood, the LEGO version of the Porsche 911 GT3 RS also combines design, performance, and functionality. Still concealed in black-and-white foil as a mystery model at the Nuremberg toy fair late January, the color of the characteristic bodywork has now been revealed and shines in bright orange. Thus, it corresponds to the special coating of the original sports car in lava orange authentically. The model, which has 2,704 elements, also delights the beholder with sleek, aerodynamic lines and an adjustable rear spoiler. Besides many authentic features, the packaging and accessories that come with this complex LEGO Technic model also contribute to a building experience rich in variety: among other things, the box contains a comprehensive collector’s book with exclusive background information on the development of the model. Furthermore, the elements of the individual assembly groups are packed in separate boxes for the first time and, together with the detailed instructions, provide an insight into the assembly process of the actual vehicle. According to Ferry Porsche, driving enjoyment is not created by comfort - quite the opposite is the case. 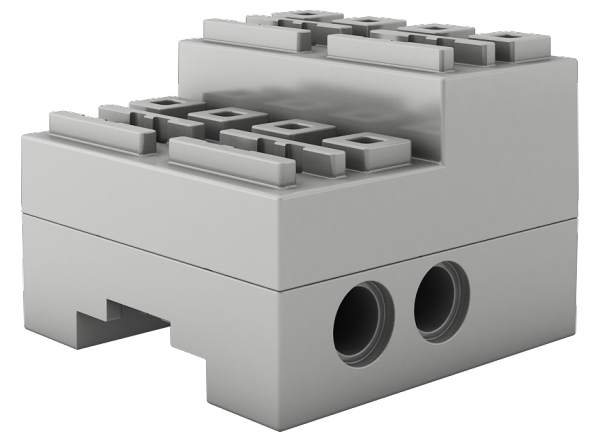 Consequently, the LEGO model also features a few rough edges that give it identity and character, just like the powerful original on which it is based: the authentically recreated bodywork is convincingly realistic with its characteristically low and sloping design, the large cooling air intakes at the front, the surface contouring of its roof and compartment lid, the unique front wheel arch air outlets of the lightweight carbon fenders and the striking rear wings. Both the performance and the sportiness of the original have been realistically reproduced in various technical features on the LEGO model. One particular highlight is the fully functional Porsche double-clutch transmission with four gears and gearshift paddles on the steering wheel. But all technically minded LEGO fans will especially love building and playing with the six-cylinder boxer engine with moving pistons underneath the rear lid. In addition to the technical features, the interior of the model is also authentic and close to the original. A detailed dashboard, a steering wheel with gearshift paddles, racing seats, and a glove compartment concealing a unique serial number can all be found in the easily accessible cockpit. Using this serial number, additional exclusive content can also be released from June 1st 2016 by following www.lego.com/technic. The LEGO Technic Porsche 911 GT3 RS is a 1:10 scale model and is 17 cm high, 57 cm long, and 25 cm wide. There is also a detailed interview with the LEGO Technic designers Andrew Woodman and Uwe Wabra, but let's start with their bios. Andy Woodman, age 44, married with 1 daughter aged 4 who already shares her dad’s passion for speed and loves to ride around on her own Ducati. Lives in a forest area of Denmark in a house they designed and built themselves. Has a first class Hon’s degree in Industrial Design and Masters degree in Vehicle Design from the Royal College of Art, London. Work experience includes RLE international, DAF Trucks Holland, Emap and Lego System A/S where he has worked since 2003. Has a passion and interest for all forms of design especially Architecture, Vehicles and Yachts. Passes on this passion and knowledge for design by lecturing at local colleges, hopefully inspiring others to be interested in perusing a design career. Loves cars and all things automotive, especially racing his rally prepared Porsche 911. Loves road trips and exploring new places, hates plane travel, not flying, just everything associated with it. Still looking for the ultimate family car, to use on a grand tour with the family and explore new places. Uwe Wabra, has worked at the LEGO Group since 1996. Lives close to Billund in a home he has renovated over a number of years and is constantly evolving to accommodate his fantastic collection of Auto Memorabilia. Originally trained as a chef at a prestigious Danish Hotel before turning to his other passion, carpentry. Then in 1996 he got the opportunity to reignite his childhood passion for LEGO Building by accepting a position with the LEGO Group in the LEGO Technic department. Since then he has had many roles designing for other departments in the company but his passion is for the LEGO Technic models and is very happy to be back working with the LEGO Technic team. Has a passion for all things automotive – just take a quick look in his garage or at his model collection, which is spread all over his garage and house. It really is an eclectic collection of cars, bikes and trucks. His passion is for classic vehicles and of course, Porsche has a strong past. He has always had a Beetle and now that he has worked with Porsche, he really wants a 356. The designers of the LEGO Technic Porsche 911 GT3 RS Andrew Woodman and Uwe Wabra are talking about their dream project – from the idea to the complete model. What was the idea behind this project? Andrew Woodman: As a lover of design and high-performance cars, it was a dream to make the Porsche 911 our first model. When we started to collect ideas for this new LEGO Technic model, we realized that we wanted to create more than just a great building experience. It should be all over special. We knew that we needed a partner with the perfect vehicle that was both highly desirable and a true icon. So we reached out to Porsche. How did the cooperation with Porsche run? Andrew Woodman: The cooperation with Porsche was fantastic. The employees are incredibly passionate for the Porsche brand and showed huge interest in our LEGO Technic model. From our very first meeting it was clear that Porsche shared the same passion for the vision of this concept and together we decided upon using the current 911 GT3 RS as the first vehicle in this LEGO Technic series. How much time did the whole process take and what were the particular development steps? Andrew Woodman: The whole process took almost two ages: From the development of initial design ideas concerning the concept in winter 2013 to the final approval of the model by Porsche in fall 2015. Uwe Wabra: When we started our initial drafts in 2013, the Porsche 911 GT3 RS project remained top secret. Therefore I had to build the first LEGO version using photos of the camouflaged prototype of the original from the internet. The first LEGO prototype was ready in a matter of weeks. Andrew Woodman: We presented the result of the first model to the design team of the 911 GT3 RS at Porsche and discussed the basic technical functionalities as well as the shape of the body. On the basis of this feedback we designed the next model and simultaneously started with the development of the wheels rims which are an important part of the legendary design of the car. Afterwards we visited the Porsche Development Center in Weissach as well as the Porsche GT workshop area. During intensive working phases we worked out the elements and details of the car and perfected them. The final step was the approval by Porsche. Did you experience a special moment during the development phase? Andrew Woodman: During our visit at the Porsche GT workshop area we could see a preproduction 911 GT3 RS complete and finished in lava orange. This was the first time we saw the car in color – all the others had been black which made it difficult to see the proportions and details of the car. How many persons were involved in the development process? Andrew Woodman: Several persons participated in the development of this model: Among others, a graphic designer started working on the required decorations and stickers. In the meantime model designers worked further on the styling and on the development of particular components, for example the gearbox. What were the challenges during the development of the LEGO Technic Porsche 911 GT3 RS? Andrew Woodman: One of the biggest challenges for us laid in designing an element that works on the 911 GT3 RS, but also in general with all others LEGO Technic elements. Furthermore something that could work in our system for years to come. Uwe Wabra: It was important to integrate as many of the advanced technical functionalities from the real 911 GT3 RS as we could. The steering and suspension were difficult enough, but our biggest challenge was the creation of the functioning double-clutch transmission with gearshift paddles. Well... the car looks amazing and is expected to feature quite nice features as advertised above, and already expected since we got to see its "spy pictures" taken in this season Toy Fairs. The curves, the proportions, the color, all seems to fit incredible well with the original from the Stuttgart manufacturer. Although what I'm most enthusiastic about is the cocktail of new parts that seems coming with this one, new cool rims, new 11x7 curved panels, new fenders, this to talk about what is visible at the moment. And if that was not enough, another set of parts will make their orange addition to the inventory (flex axles, panels,...). For the rest of the descriptions you can find some more illustrations in the picture below. As it seems, no more, no less... the first true LEGO Technic Supercar after 8448 Super Street Sensation from 1999!